Have you been averse to taking steps… or you think life will just roll the good things you desire down your path? Stop and consider it again… Those who have achieved great things with their lives, never waited for the best time. They took steps to meet opportunity, infact some of them jumped and swam to meet the boat of opportunities in the middle of tempestuous seas. Be deliberate about achieving that desire, meeting that boss, building that relationship, establishing your home, securing that job, living that good life. Live intentionally! You might be saying all things are not equal…I might not agree less, but what will you be doing and where will you be when all things begin to be equal? Don’t just jolly through life, be a bit more deliberate with it! Even GOD is a DOER, not just a wisher. Once He desires, HE goes All out to fashion how it will be actualised. HE looks out for a life that can carry it out and they both become co-workers of His Will. That’s the prayer, “Thy Will be done on earth as it is HEAVEN”. Let there be someone to capture what you are ruminating on in Heaven to make it happen on earth. You cant be saved from your troubles, financial lack, lack of purpose and fulfilment and other things, if you are not deliberate and take steps. So ACT! “Winners are those willing to do what losers would not do”. Put that extra into it….DO! Looking at Rahab, the doer, she was the oddest person to be saved. An unseeming candidate for salvation, she didn’t let her background pull her down. Does your heart yearn for a Salvation and you think you are not worth saving? Do you feel you have gone too far for a change of lifestyle and in a place no correction can be made to your life? Don’t think you are the only one there, someone has been there before…. Rahab was a prostitute, that was her first description. That was the nature that she wore and everyone knew her with. Prostitution was her way of life and the summary of her life. She did not just live the prostitute life, she even operated an inn, a hotel where she probably recruited some more girls to help her enterprise. Rahab was probably tired of her way of life but there was no escape route. Alas, there came an opportunity! There was information that Israel was coming to attack Jericho. Everyone heard this but no one was willing to act on the information they received except this degenerate who desperately needed a way out of her present lifestyle! (Joshua 2)…She heard and she did something, reached out to the opportunity for salvation. 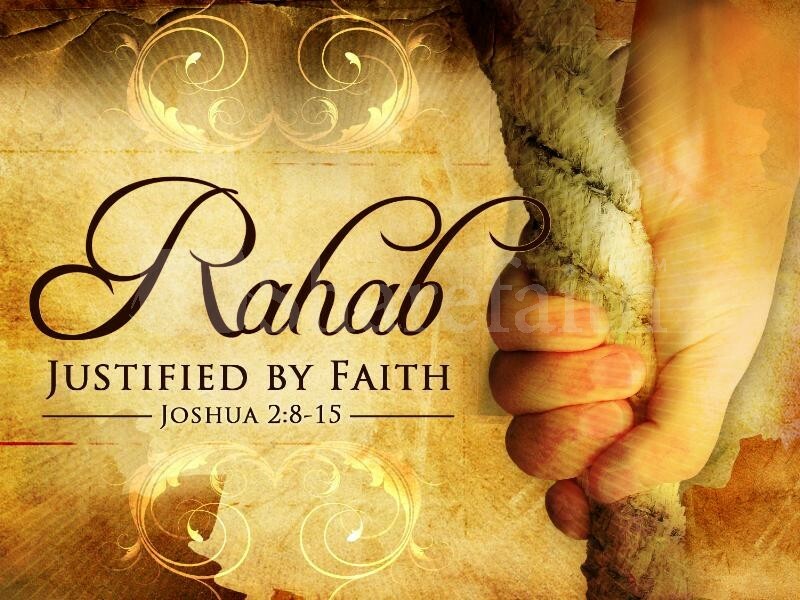 At last, Rahab was not just saved, her actions and the steps she took earned her a place among the heroes of faith. Rahab took her destiny in her hands and went for that salvation. Can you take such a step? What action do you choose to take…stay in your mess and be at the mercy of your mistakes or rather reach out for help and rescue you from it? Naomi heard and had that similar opportunity to have saved some of her loved ones and bungled it because she didn’t act in time. The delay may have caused her some things! Don’t linger and complicate your life any further. You might just need to cut off from that wrong relationship you are only enduring, you must just have to leave that job you are doing just for the cash and reach out to embrace DESTINY, what God wants you to do. If you linger, you litter and may regret that decision. Take a step. You can get whichever you act towards…irrespective of your state, you can be saved and reach salvation. This is one of the things JESUS died for, that you might live life to the FULL. ACT RIGHT…REACH OUT TO GOD because DESTINY CALLS!